Clara Novakova was born in Brno, Czech Republic into a musical family, as the second daughter of the composer Jan Novák. Having spent a number of years in Denmark and Italy, she went on to study at the “Hochschule für Musik” in Stuttgart with professor Klaus Schochow. Later she moved to Paris where she continued her studies at the Conservatoire National Supérieur de Musique de Paris with Michel Debost. She won several international competitions including Palmi, Ancona, Stresa, and the Rotary-Preis Stuttgart, the Darmstadt Stipendiumpreis and the Pro Musicis Award. 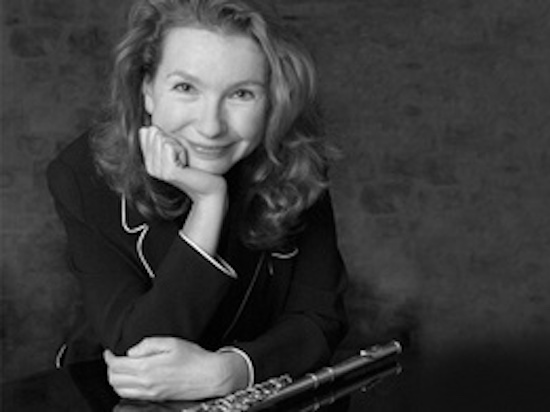 Between 1988 and 2006 she was principal flute with the Chamber Orchestra of Paris (Ensemble Orchestral de Paris). She continues to perform as a soloist as well as with various chamber and New Music ensembles from France, Spain and Czech Republic. Ms. Novakova has had teaching positions in Paris and Valencia (Spain), and she has been leading master-classes in Europe, South and Central America, and Asia. She is currently Associate Professor of Flute at the Soochow University in Suzhou, China.